This gallery of miscellaneous paintings is arranged with the more recent works at the top. Below are images of some of my other paintings. Some originals are for sale as indicated. 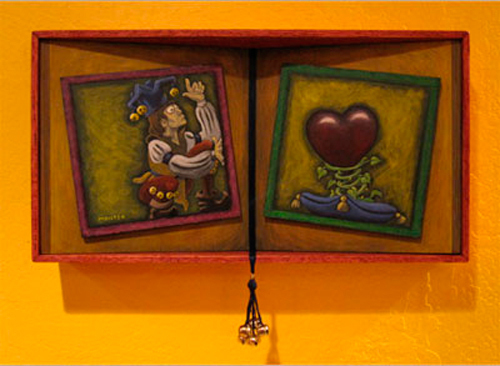 (2011) Acrylic on Masonite, Ribbon, Wire and Bells.